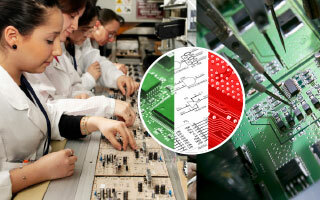 Italian test specialist TME chose XJTAG as its partner when adding boundary scan to its ATEXI modular test platform. XJTAG’s total focus on boundary scan provided the technical edge and in-depth support required, while the clear pricing structure delivered optimum value and enabled TME to calculate and control project costs. The 13-strong team provides a portfolio of test engineering services, including custom and general-purpose test equipment. Key platforms are the ATEXI modular test station based on PXI technology and the company’s X-TDCA web-based test data collection and analysis software. Both have been designed entirely in-house. As customers’ needs evolve, demanding shorter test cycle times and higher end-of-line yields, TME is continuously improving ATEXI and X-TDCA. The technical team has recently integrated boundary scan capability, working closely with a major customer to develop a new test strategy taking advantage of the increased speed and test coverage achievable. In this strategy, boundary scan helps isolate a proportion of defective boards ahead of functional test. This significantly shortens the average cycle time per board and reduces functional test failure rates. Subsequent boundary scan analysis of failed boards reduces the time for troubleshooting and repair. “We can eliminate in-circuit testing or similar parametric test procedures, consolidate all tests onto a single unified test platform, and simplify the troubleshooting procedure, ultimately helping customers to reduce costs and increase throughput”, confirms TME’s CEO. The XJTAG PXI modules have a standard PXI interface, and can slot directly into a rack alongside other test modules to provide a direct PXI connection to the boundary scan chain without requiring extra adapters. Software integration is also straightforward. XJTAG Virtual Instruments (VIs), which are available free of charge, allow systems using LabView™ to manage XJTAG’s rich boundary scan features, such as the Advanced Connection Test and tests for non-JTAG components. Other industry-standard interfaces are provided, such as the COM and .NET interfaces, allowing XJTAG to be integrated with a variety of third-party test and measurement software. We chose XJTAG over all other boundary scan systems on the market. It provides all the features we need at the best price and offers a wide range of product choices including PXI modules that integrate easily with our ATEXI automatic test platform. XJTAG’s history as a specialist developer of boundary scan solutions gave us extra confidence both in the underlying technology and in gaining access to the best possible technical support. The clear pricing structure allowed us to calculate the total outlay accurately and keep control of our budget. Test-system integrator TME srl, based outside Caserta near Naples, Italy, is dedicated to improving the test capabilities of its customers, who typically build electronic assemblies for applications such as telecommunications, transportation, avionics and consumer products. The company believes that improving test solutions is the best way to deliver better products and processes.